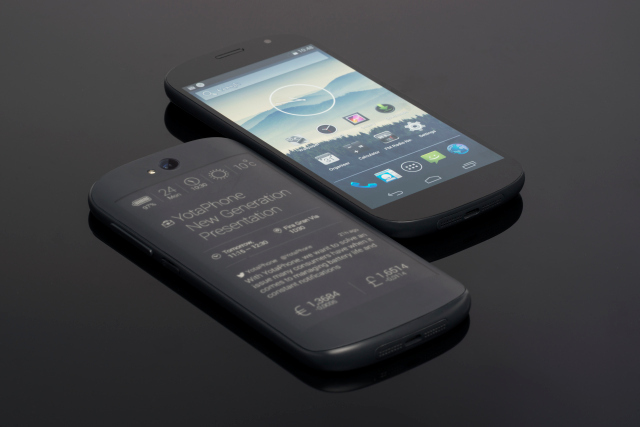 The YotaPhone 2 is, according to its website, the first smartphone with two fronts. On one side is an AMOLED screen and at the back is an E-ink surface, which is as capable as the former when displaying images. Although, the E-ink surface is still limited to its capabilities as an E-ink screen. With lots of tech enthusiast eager to go hands-on and try out the features of this new gadget by YotaPhone, but with no US release to mark our calendars with, we are left with nothing but a state of wonder. Fortunately for one Russian tech site, Hi-Tech.mail.ru , got their hands on one of the first units to show us this new smartphone. This is good news for those who could read Russian, but for those who can’t, might as well wait for an English hands-on review or read a Google-translated version of the site. According to the site, the YotaPhone 2’s front-side display is a 5-inch 1080p AMOLED screen. The flip-side, on the other hand, is a 4.7-inch, e-ink display with a 540×960 resolution. Both screens are made of Gorilla Glass 3. The CPU is a Qualcomm Snapdragon 800 which has 4 cores and can run up to 2.2 GHz. The phone’s initial OS is Android 4.4.3 which is told to be capable of upgrading to 5.0. YotaPhone 2 has a RAM of 2GB and a built-in memory of 32 GB. The YotaPhone 2’s facial dimensions are 69.4mm x 144.9mm, and is 8.95mm thick and weighs 145 grams. For those who are particular with the camera, it has an 8 MP primary camera with autofocus with flash and a 2.1 MP front camera. The battery capacity is at 2500 mAh with a battery life of 1-2 days (with average usage, as recorded by Hi-tech.mail.ru) and is capable of Qi wireless charging. Lasting for 2 days seems dubious to me since that is quite a small battery, but since we haven’t tested it out, we have to take their word for it. The Russian tech site gives plus points to the phone’s curved back, compared to having the flat-on-both-sides phone that one would expect from their previous smartphone. Additionally, the phone is also capable of remembering which hand it was last used on. The guys from the site also applauded the Qi wireless charging capability and the DROID-style SIM card slot which was hidden in the phone’s volume rocker. With all these new innovations that YotaPhone 2 has to offer, Hi-tech.mail.ru also gave its share of downsides, specifically, the absence of the MicroSD card slot, which removes its flexibility when it comes to memory capacity. 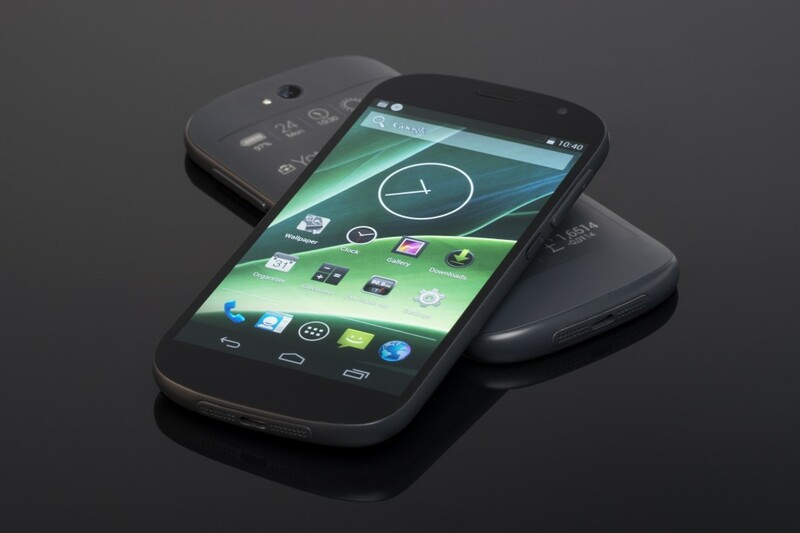 The reduced number of megapixels in the front camera compared to the previous YotaPhone was also criticized. Initial pricing of the phone suggests that it will be priced at about 32,900 Rubles (less than USD $550).